What’s Inside: plastic doll, old baby blanket, wash cloth cut into 4 small squares, Q-tips, cotton balls, small baby soap container rinsed out and a few pretend pages from the Hospital and Doctor download. What They Played: The 18 month old loved washing up the baby using the water from the soap bottle (about one teaspoon) and a small washcloth. Using the small washcloth and tiny bottle was essential. There was so little water that the baby could not make that much of a mess (which was great since I was making dinner). She was even squeezing the wash cloth out of the bucket and it was not dripping. 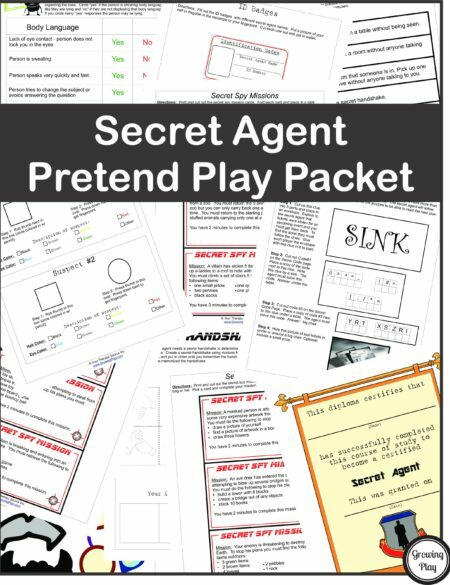 The older children used the forms from the packet that were inside the box. 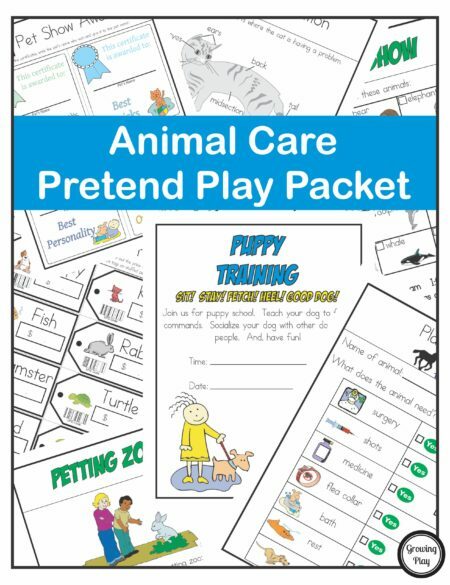 They filled out the pretend birth certificate and the baby check up form. 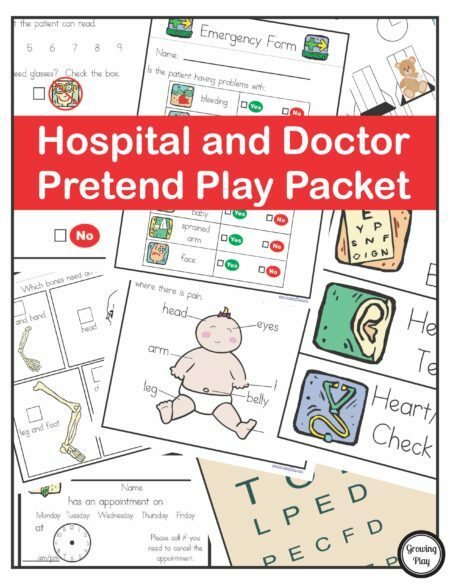 The children love to play hospital with a pregnant patient so this box was a hit. 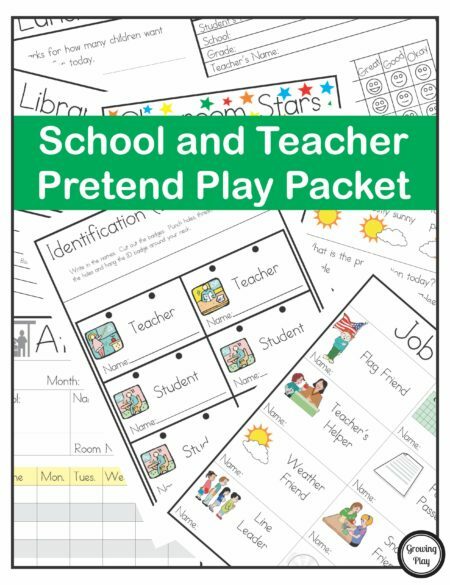 Sign for the Box: Why not follow along, trying to match my goal of one pretend play box per week and create your own pretend play boxes. 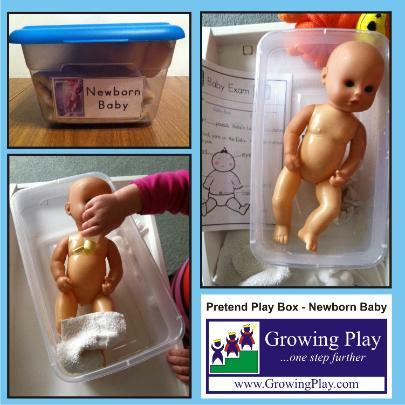 Click here Pretend Play Box – Newborn Baby to download the sign. 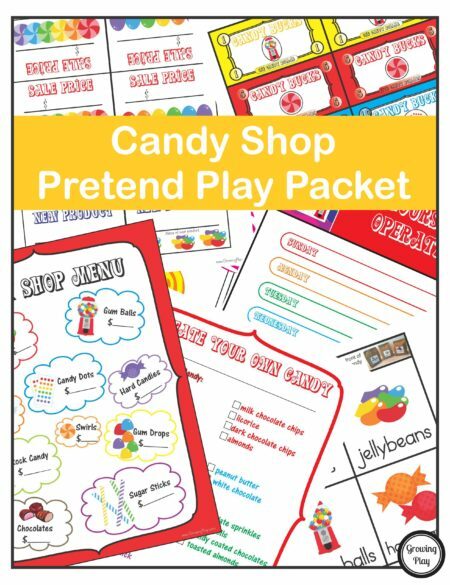 This is a great activity to do with your little one before they become an older sibling.